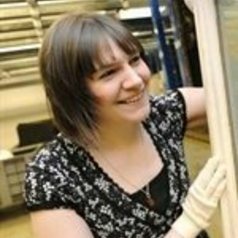 Dr Laura MacCulloch has been working in art galleries for ten years and is passionate about caring for collections and making them accessible to a wide variety of visitors. Her specialism is Victorian art and her research has focused on the work of the Pre-Raphaelites, women artists and the influence of Japanese art on Britain. She previously held the post of curator of British Art at National Museums Liverpool and was attracted to the role at Royal Holloway due to its world class collection of Victorian Art.